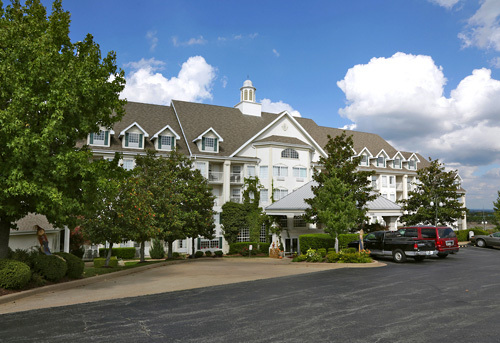 Located just one block from the Tanger Outlet mall and 1 mile from Branson’s Theatre District, the Victorian-themed Hotel Grand Victorian features traditional-style accommodations off Highway 76. 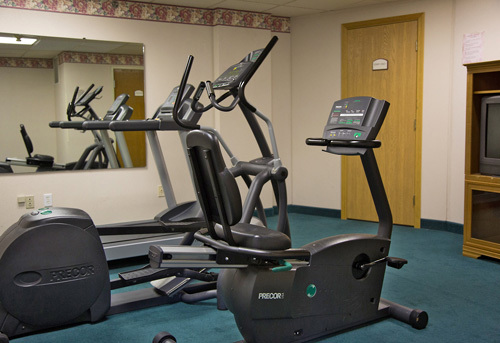 Guests of all ages can enjoy complimentary Wi-Fi, daily continental breakfast and afternoon snacks; a fitness center; an indoor pool and whirlpool spa; a game room; laundry facilities; and more. Set 1 block away from shopping at Tanger Outlets. 1 mile from the Titanic Museum. 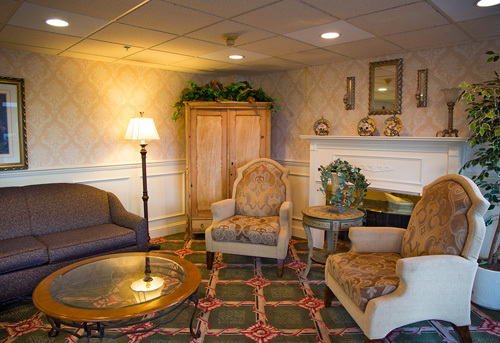 Nice lobby with area to relax and lounge. 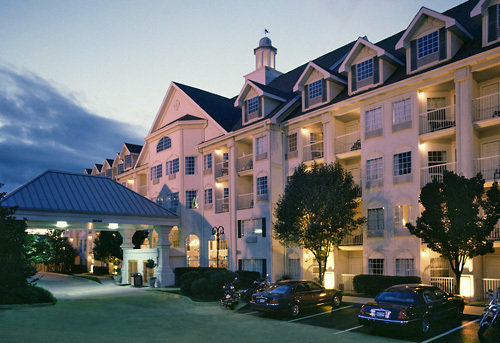 Elegance & romance await you at the beautiful Hotel Grand Victorian, the showplace of Branson. Our friendly staff is genuinely pleased to greet you with the gracious service that places the hotel among the top hotels in Branson. Choose from our competitively priced Deluxe Queen Guest Room, most with private balconies, or select an exquisite Suite featuring an in-room marble whirlpool Jacuzzi. 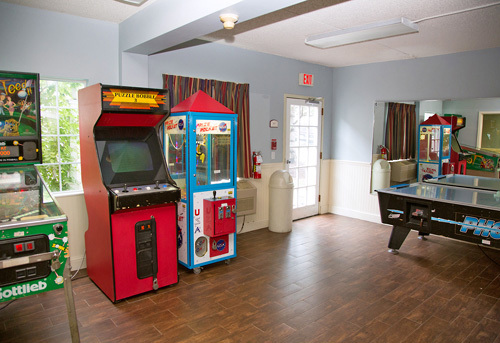 All of our Guest Rooms feature a refrigerator, microwave, coffeemaker & hair dryer. Start your morning by enjoying our complimentary deluxe continental breakfast and experience our complimentary fine tea & cookies served every afternoon. 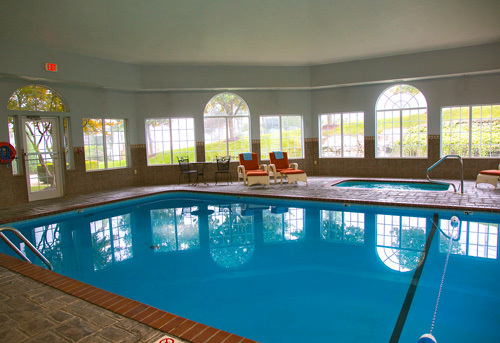 We have a Brand New Indoor Pool & Hot Tub, Outdoor Pool, Fitness Center & Game Room. Free Wireless Internet is available too! We are a Pet Friendly Hotel: $35.00 non refundable pet fee due at check in. Pets only up to 35lbs. Please be sure to request a pet friendly unit. How many rooms are available at Hotel Grand Victorian? There are a total of 151 rooms. There are 17 adjoining rooms. 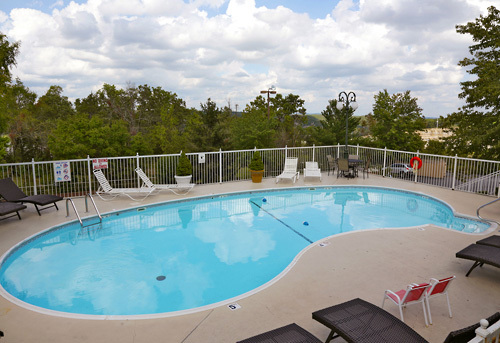 The pool at Hotel Grand Victorian is open from 7am-Midnight. What is the pet policy at the Hotel Grand Victorian? Pets 20 pounds and under are welcome. There is a $35.00 one-time, non-refundable fee for pets. Yes Denny’s, Ruby Tuesdays, Moon River Grill, Peppercorns, McDonalds, Walmart, and Tanger Mall all within walking distance. 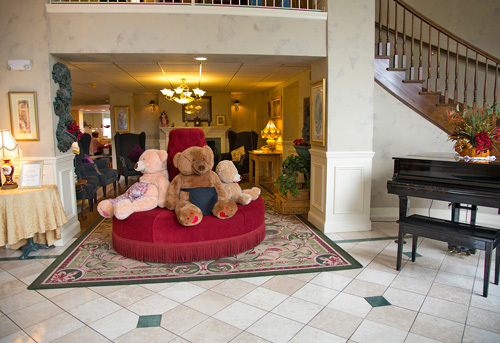 Do you have a minimum age required for check-in at the Hotel Grand Victorian? Yes, guests must be 21 to check-in. There is a $10 charge for rollaways. All others are free of charge. 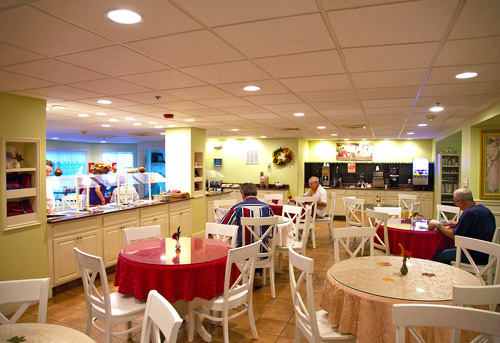 We have microwave and refrigerators in all rooms. We have free parking available to all of our guests. Yes, guests may check-in at any time after their scheduled arrival.